With a new imprint Sous Music and a critically acclaimed new album ‘SoMe’ highlighting a typically inspired past 12 months, Anja Schneider hits 2018 entrenched as one of electronic music’s most vital artists. Anja Schneider made her most decisive career move during the summer of 2017 when she announced she’d be closing a long and very successful chapter of her life by stepping away from mobilee, the iconic label she founded in 2005. 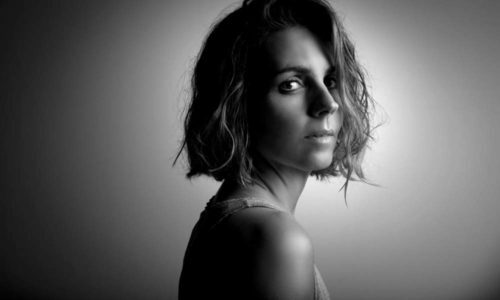 Rounding out a year of change in 2017, was Anja Schneider ’s move to the prime-time Friday night slot at major Berlin broadcaster Radio Eins, with a new weekly show ‘Club Room’. The switch occurred after 17 years with Fritz Radio, where her program ‘Dance Under the Blue Moon’ was responsible for introducing a generation of Berliners to electronic music. Additionally, her radio work extends to weekly shows in France and Belgium on the Radio FG network, reinforcing her status as one of the most astute tastemakers in electronic music. Over the course of her career, Anja Schneider ’s ear for uncovering the ‘next crop’ of outstanding talent has been one of the hallmarks of her influence. She’s well known for giving an early platform to the likes of Maya Jane Coles, Solomun and Nicole Moudaber (on mobilee and its sub label Leena Music), long before they became the household DJ names they are today. It’s this spirit that lives strong for Anja Schneider affectionately (and accurately!) dubbed ‘the perpetual motion machine’ as she constantly strives to discover, create and share this passion through Sous Music, her radio shows and the constant gigging that sees Anja Schneider zig zag across the world each week.